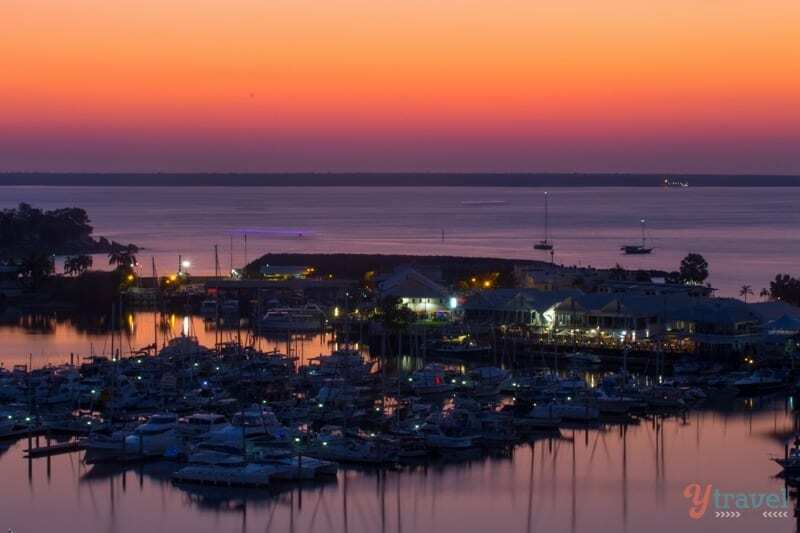 Darwin quickly elevated itself to number three spot on our top Australian cities list after we spent two weeks there. 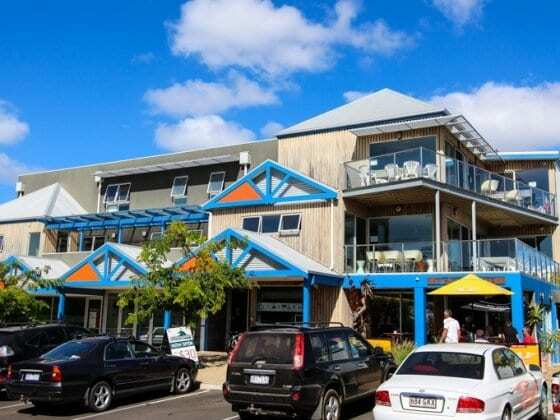 As far as cities go in Australia, it’s more like a big town with a small-town vibe that quickly draws you in. 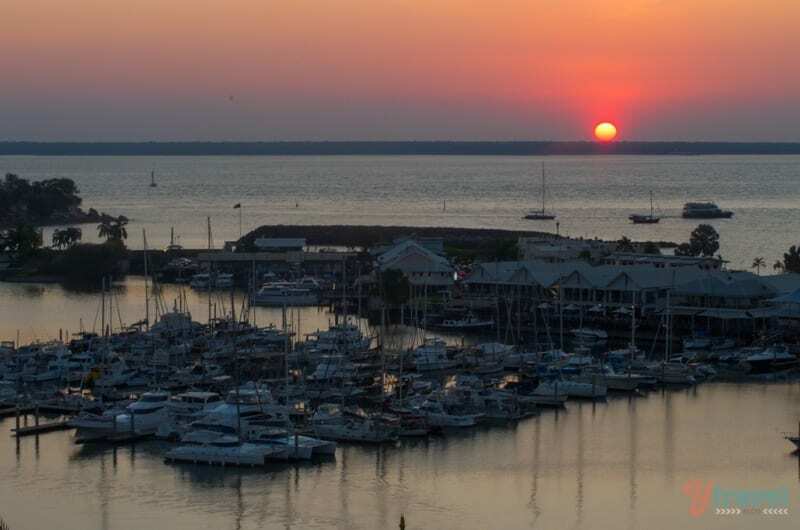 In Darwin, you can take things as fast or as slow as you like, and I now understand why my brother has lived there for two years and raves about the place – it’s certainly a pleasant alternative to the high-rise congestion of a Sydney or Melbourne. 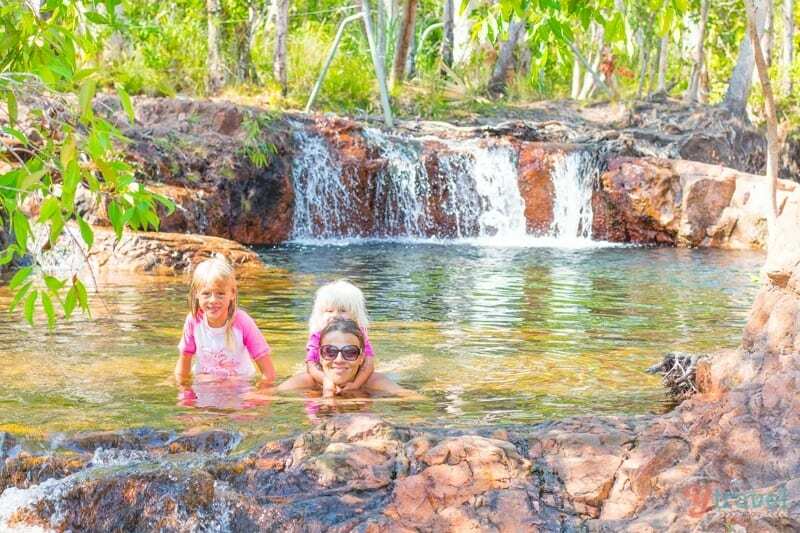 Throw in the consistently hot weather and you have an Aussie family who’d be more than happy to make regular visits to the Top End. Waking up every day you know it’s going to be blue sky and mid 30’s – so nice to plan outdoor activities and not having to consult the weather forecast gurus. 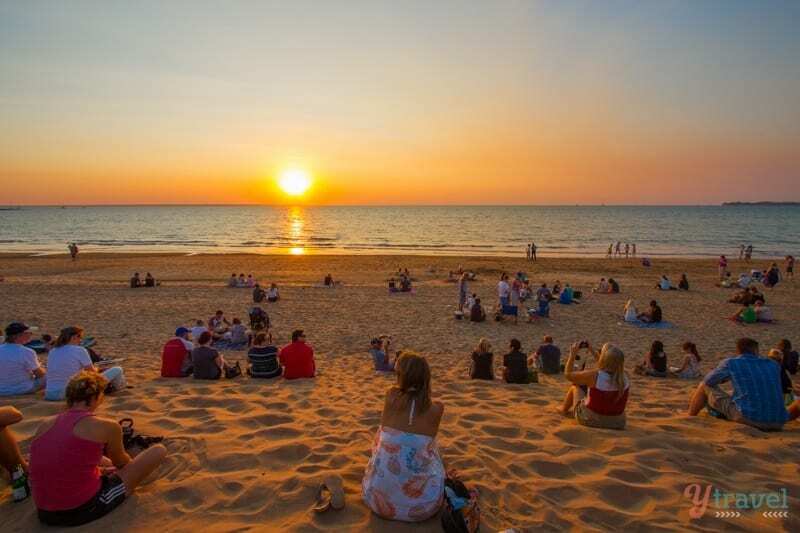 Not only that, Darwin offers a gateway to the natural wonders of the Top End including Litchfield and Kakadu National Parks and the Katherine Region. 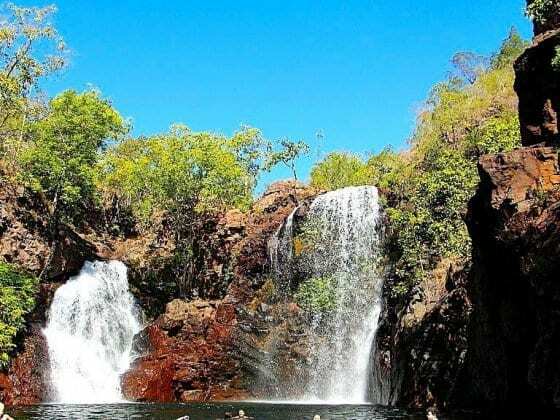 If your time is limited, Litchfield is roughly one hours drive from Darwin. Before arriving in Darwin we’d been in our camper trailer for about a month of hard-core travel across the dusty Savannah Way from Cairns. The campsite in Darwin was okay, but it was way out woop woop and it was still dusty and hot. I just could not leave these views. We often check into apartments to get a bit of space and sanity so we can regroup. I find it extremely difficult to get my work done in the camper – it’s too cluttered, stuffy and hot. I also find it extremely difficult to shower when we stay at campsites – public bathrooms just don’t do it for me, especially when you walk in on a snake hiding behind the toilet cistern early in the morning. When I stay in an apartment, I shower twice a day to make up for my once every-other-day at the campgrounds. Besides that, it’s so nice to have a full-kitchen, separate bedrooms, a laundry, and a proper desk to work from. We knew at some stage in Darwin we’d be sneaking off to recover in an apartment. We just never imagined it would be one so amazing. Craig’s parents were coming to visit for a few days, so we needed to rent a three-bedroom apartment in a central location. 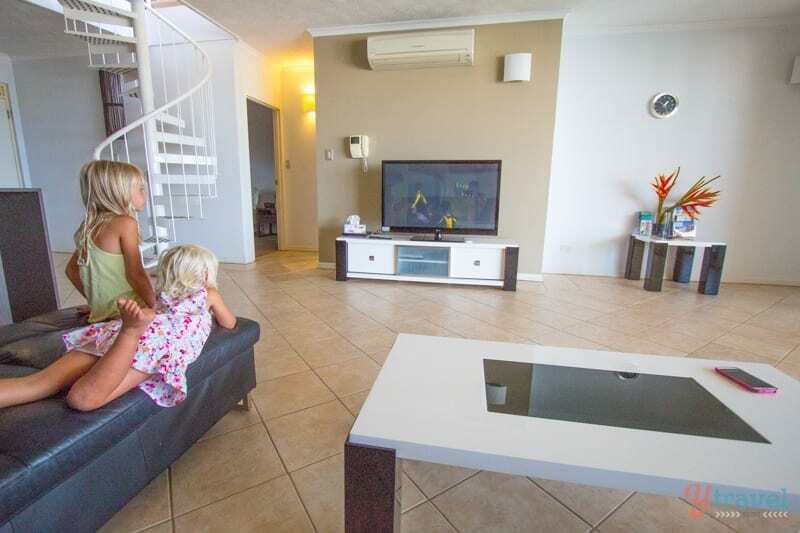 Accommodation in Darwin is scarce and expensive and hotel rooms just aren’t our thing, especially with four adults and two kids in the party. 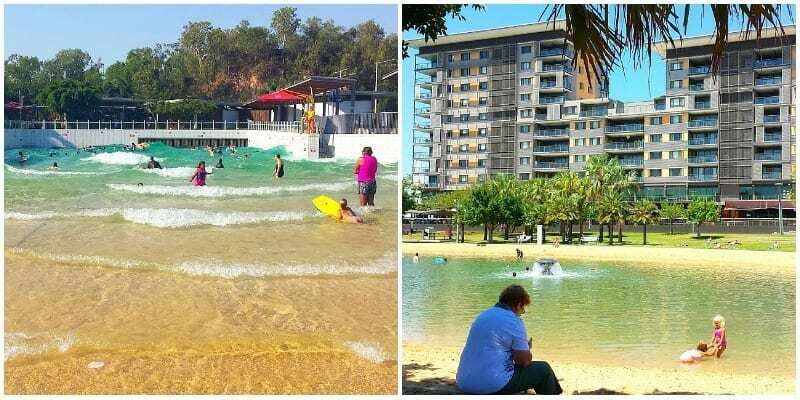 We used AirBnB for the first time in Townsville when we were finding it hard to get decent accommodation. 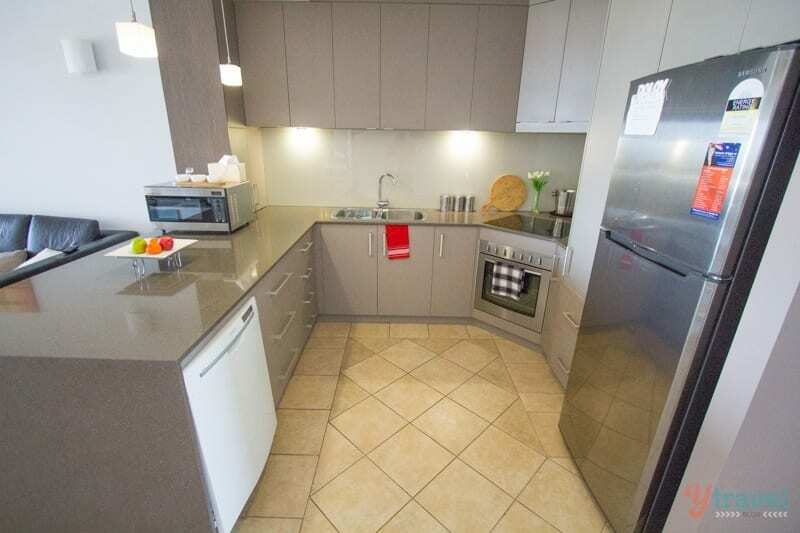 We found a lovely 2 bedroom apartment in the heart of the city for only $110 a night. The whole experience was effortless and easy. 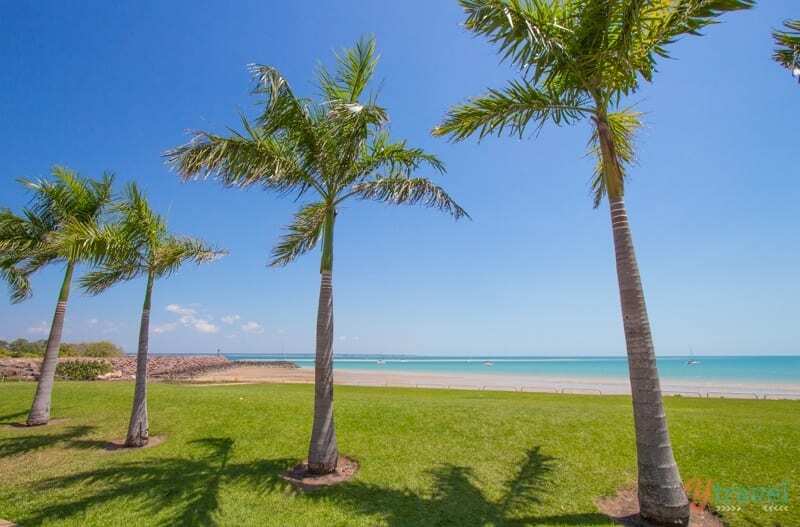 We didn’t have great luck when searching for apartments in Darwin via our usual search sites, as I said Darwin accommodation is tight so we were only left with a couple of options to choose. Unlucky for us, we could only rent this Airbnb place in Cullen Bay. If you are new to airbnb, we have a credit for you worth $35 when you sign up here. 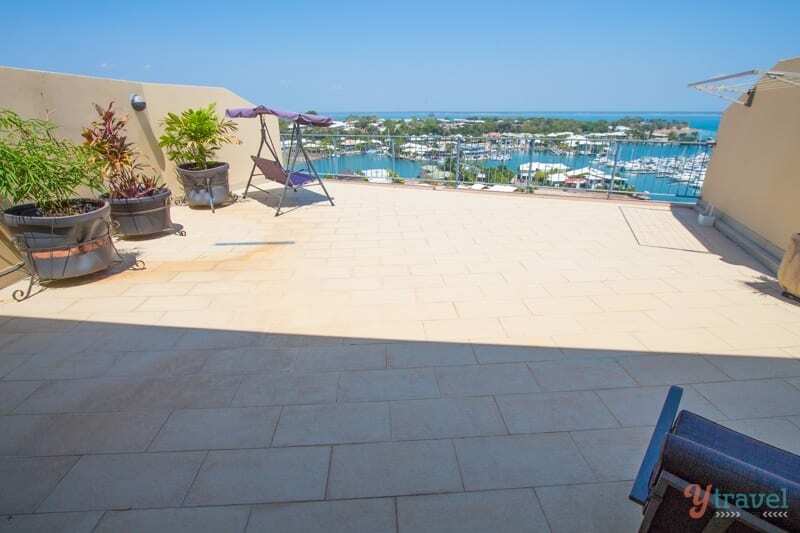 A luxury penthouse apartment with amazing views of the famous Darwin sunsets. 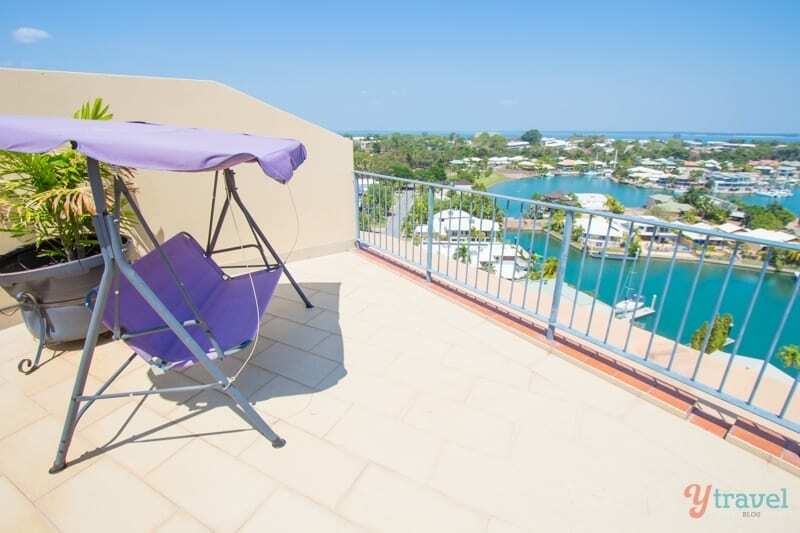 Three bedrooms, three bathrooms, one bed being upstairs in its own private area with ensuite and direct access to the HUGE balcony with amazing views – perfect for Craig’s parents to have their own space. Downstairs was another smaller balcony, two bedrooms, living room filled with toys and DVD’s, large screen TV, a massive self-contained kitchen and a lap pool for an early morning dip. As the properties on AirBnB are privately owned they often come with thoughtful inclusions and loaded with all the luxuries of home – and who doesn’t appreciate a bottle of wine and chocolates. Thank you very much. I love the personal touch! All up our Luxurious Penthouse Apartment was fully furnished and with three large bedrooms could sleep 6 adults comfortable. 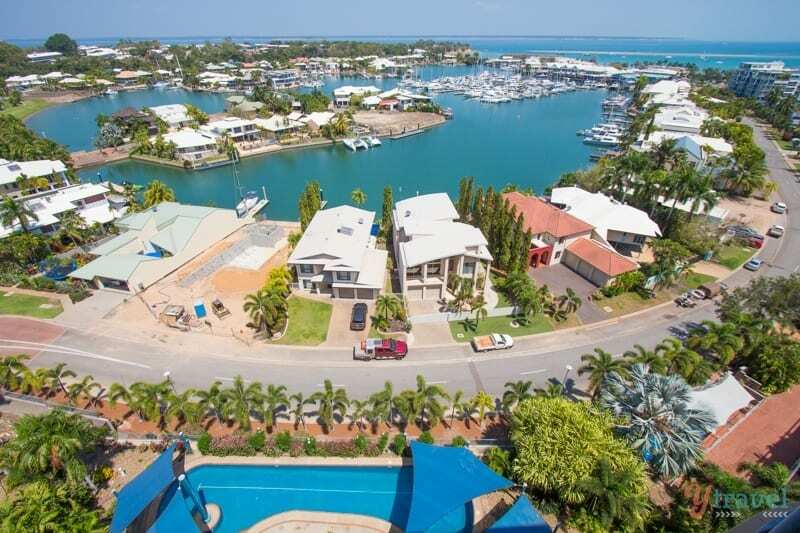 Cullen Bay Marina is the premium residential hub of Darwin. 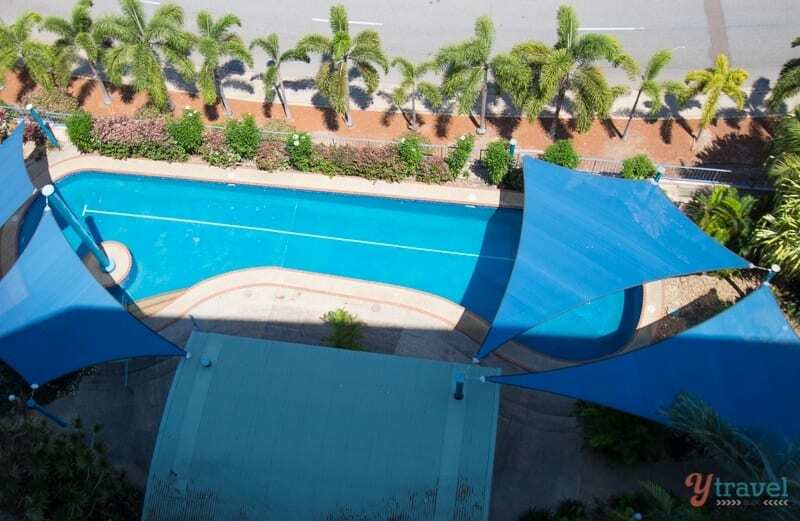 The location was super practical and central to the best Darwin has to offer. 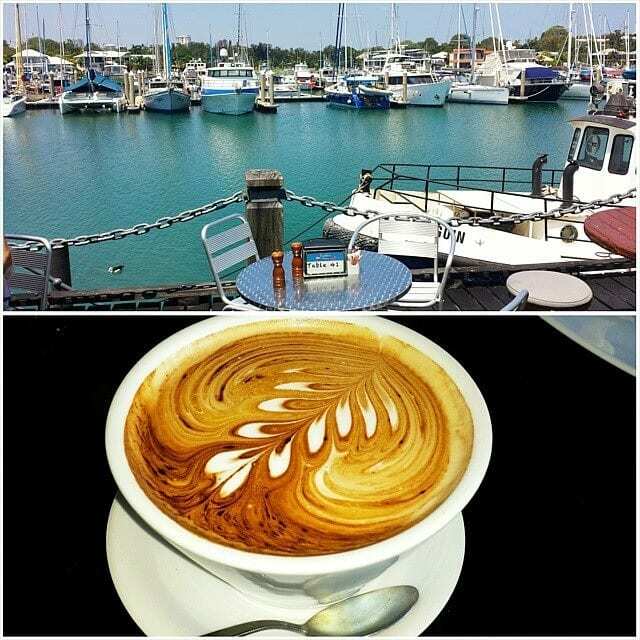 A short walk from the apartment took us to Cullen Bay Beach and our favourite Boardwalk Cafe on the water, the Boatshed Coffee House. They do a great breakfast, lunch and coffee and our timing was perfect as our stay coincided with Father’s Day. It’s an easy drive, bike ride or walk, into Mitchell St, the nightlife hub. We indulged in some yummy Thai at Thailicious and far too many drinks with my brother and his wife on a pub crawl while Nanny and Pop minded the girls. 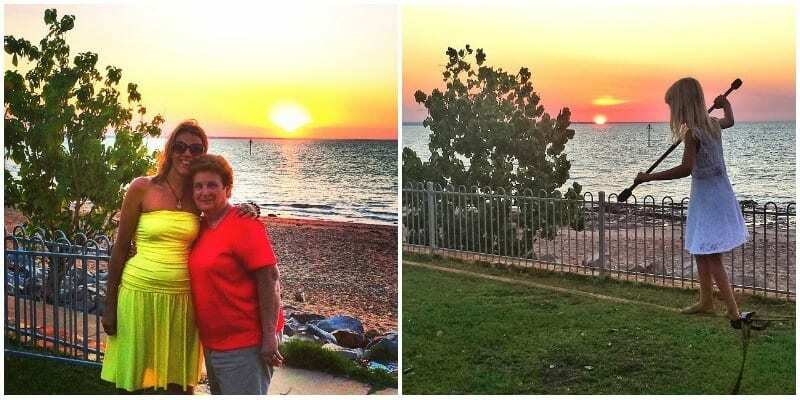 Another reason why Darwin was so great – we had a night off! 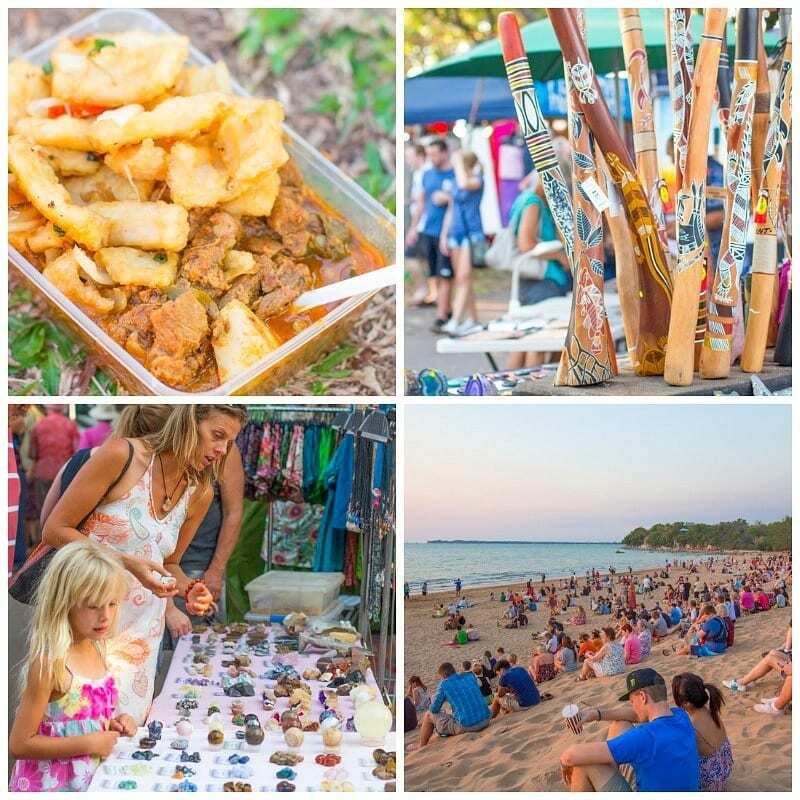 Cullen Bay is also close to Mindil Beach and its famous open air markets – the place to go for tasty food, live music and that stunning sunset. A bit further on from there was our favourite, the Ski Club – a great example of the locals’ outdoorsy lifestyle. A palm tree-fringed venue right on the water and perfectly casual for us as a family. A very relaxed place to eat and drink and ANOTHER place to watch the sunset. The girls had a ball here learning to slackline and hula hoop. Also close by was Sky City Casino (we had a great meal at the italian restaurant) and the Waterfront precinct. The kids had a ball in the wave pool and lagoon at the waterfront, and when you’re done with that the surrounding chilled-out cafés, bars, shops and restaurants make for a relaxed alternative to buzzing Mitchell St.
We enjoyed our stay in Cullen Bay so much that instead of checking out and moving back to the camper for a cheap night’s accommodation before we headed west, we decided to splurge on an extra night in the apartment. Stunning at sunset, serene during breakfast watching the world wake, and perfect for lunch eating prawn rolls and watching the boats come in and out of the lock. The cost of a stay here is more than we’d normally pay per night if it was just us. But, it’s actually great value for money when you break it down. 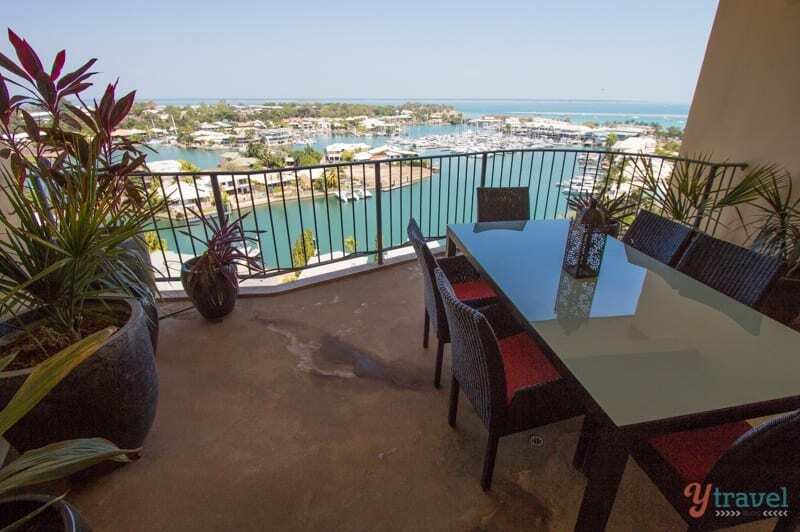 The apartment goes for $320 per night, but if you’re able to split the cost three ways with other family members or friends you have an apartment in the best part of Darwin, within walking distance to the city, WITH awesome views from your own balcony for about $106 per couple, per night. 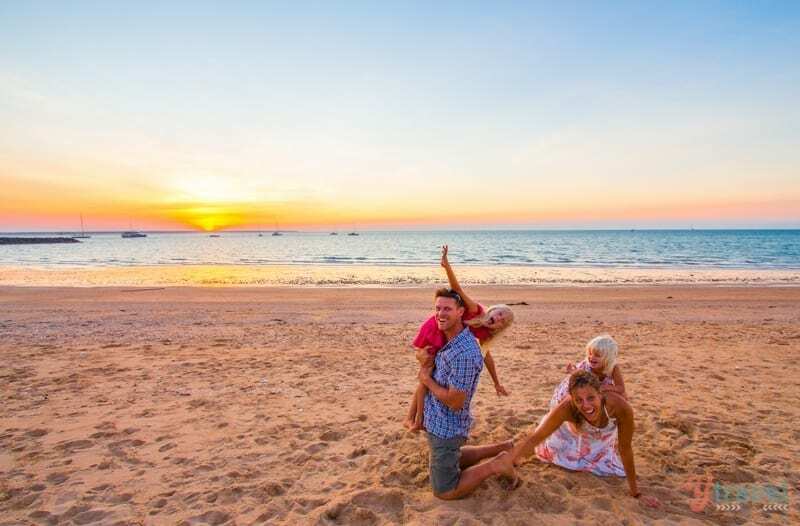 Got your family or a group of girlfriends wanting to visit Darwin? An apartment like this is ideal and you can’t beat the price for what you get when you split the cost! What I love about AirBnb properties (that we’ve discovered so far) there are no hidden costs – like extra charges for children or extra people. There’s nothing that peeves us off more than to find a great deal on accommodation only to discover all the extras you have to pay. You’ll save even more money like we did by cooking our own meals in the kitchen, or using the Weber BBQ on the deck. Once the sun sets, sneak upstairs to the massive balcony, sit on the swinging chair and stare at the stars. No wonder we didn’t want to leave. We stayed at Cullen Bay in partnership with AirBnB. 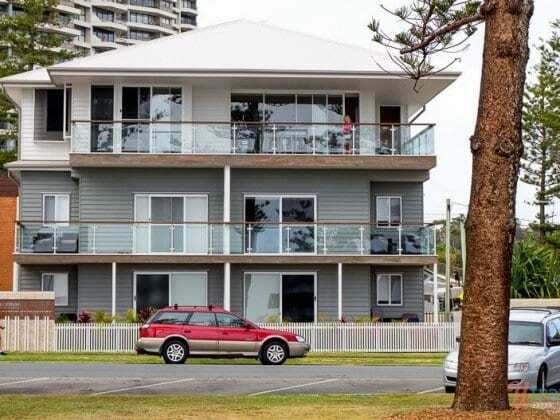 It’s nice to see more accommodation options opening up in Australia via their website, after hearing about how popular they are in the States. AirBNB has been one of the best finds for my and my partner. We absolutely love it- we have stayed in places in Paris, Caen, and Wales and each one has been lovely. I’d highly recommend it, especially in places like Paris where hotels are generally really expensive in comparison! We’ve been hearing about AirBnB for so long by travelers in the States and Europe, wished we had tried them earlier and it’s great to see their inventory is growing down here in Australia. The three properties we’ve used so far have been excellent! Congratulations!!!!!! You absolutely deserve this! I read your blogs with so much pleasure, thanks!! Thanks for following along Ingrid. When you come to Australia, put Darwin on your list! Would this accommodation be available from 15 – 22nd Sept for 3 couples. We would like 3 bedrooms and 3 bathrooms. How much would it be for the week? Hi, my two girlfriends and I are wanting some lovely accommodation for the period September 29-October 10. 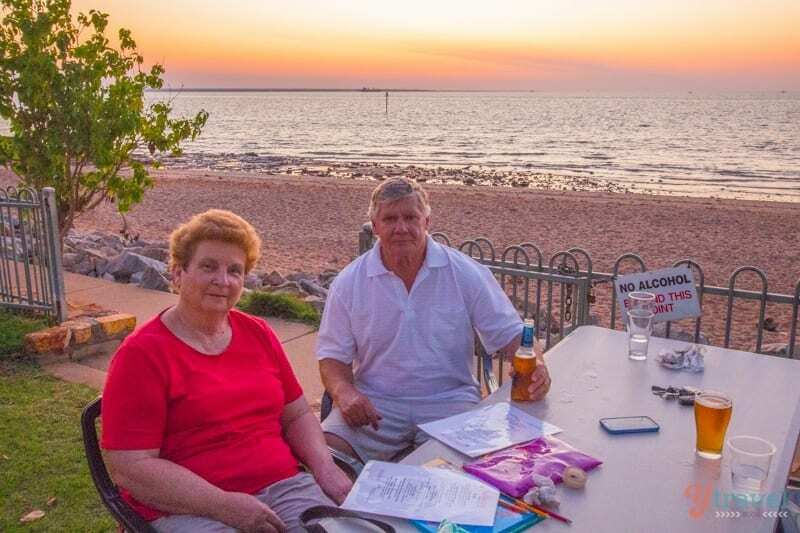 We are from Sydney and are aged 50 and 60 plus.We are two teachers and one lawyer. Can you please advise if these dates are available.A friend who lives in Darwin recommended this area so am keeping my fingers crossed.